White twins! 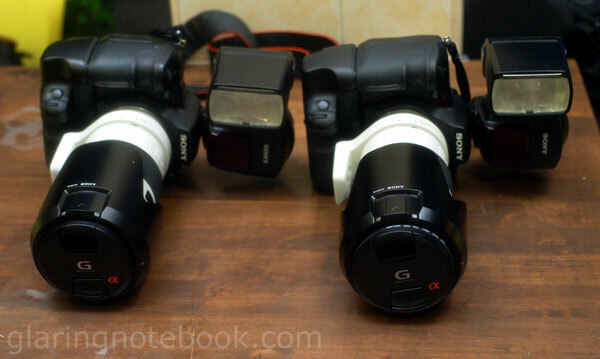 The Sony 70-200mm F2.8G SSM on the Sony Alpha 700 with a VG-C70AM battery grip and HVL-F58AM flash attached… times two! 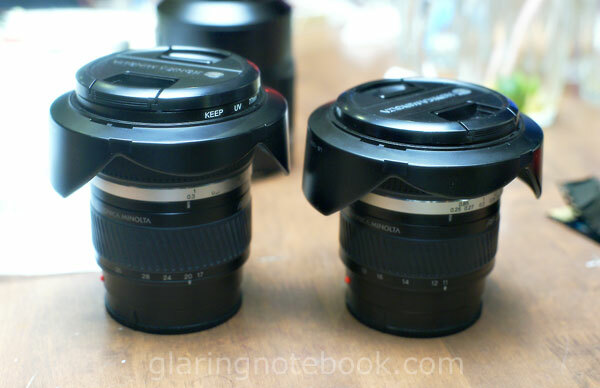 Not so twins – left, the Konica Minolta 17-35mm F2.8-4, right, the Konica Minolta 11-18mm F4.5-5.6 DT. 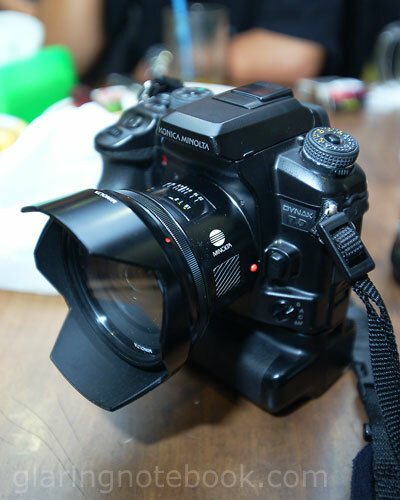 Both are Tamron rebadges with Minolta’s secret sauce marinated in. 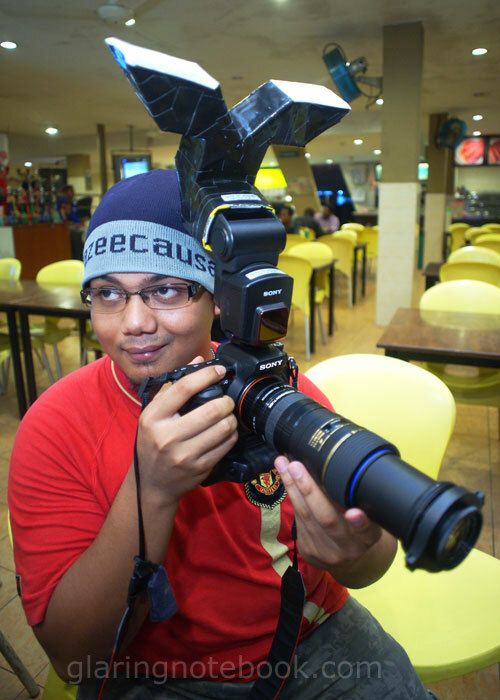 I used the KM 17-35mm at F2.8 and its closest focusing distance of 30cm, to get this! 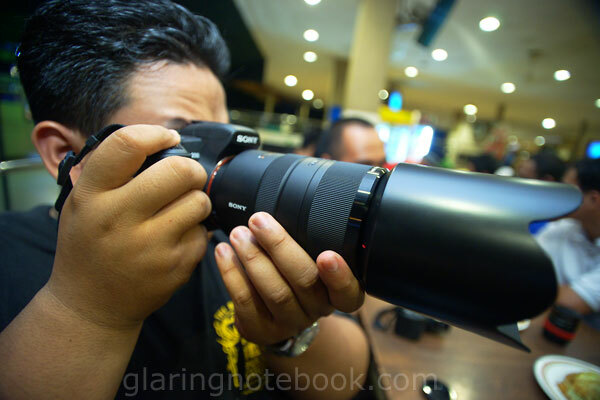 The cheapest G, the Sony 70-300mm F4.5-5.6G SSM. 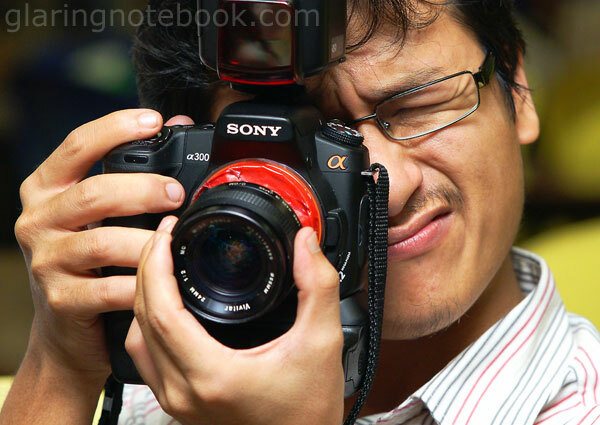 I used the Sony 70-200mm F2.8G SSM for this, shot at 70mm F2.8. 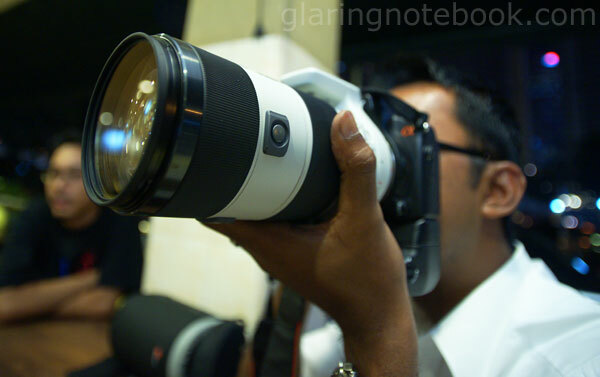 The Sony 70-200mm excels at bokeh – this is a shot at 200mm F2.8, cropped a bit. 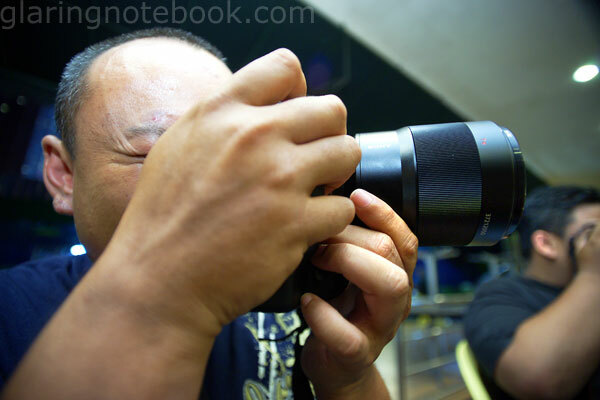 The KM 17-35mm at 35mm does a respectable close-up – here’s the Konica Minolta Dynax 7 Digital, a great body of its time. On it is a classic Minolta 20mm F2.8 Original! 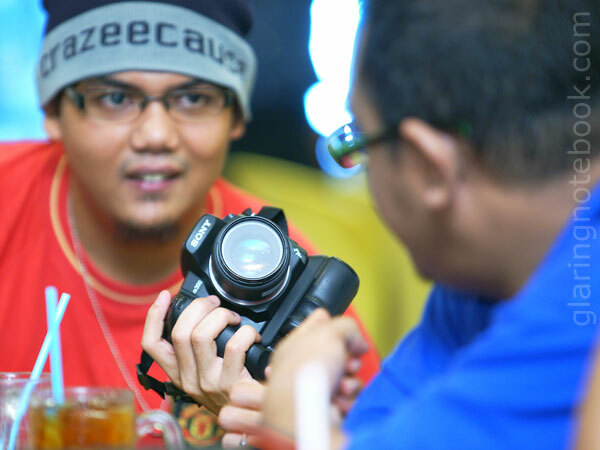 Razlan shows us how to focus my Vivitar 24mm F2.0 DIY tilt-shift lens. This entry was posted in Geek, Pictures on May 28, 2009 by 2konbla. 2nd last pic, is that flash diffuser for macro, and what’s it supposed to to do? ShaolinTiger: Yes it is as per the lens on it, but I’m not sure how the results are. Wing Loon: Yeah man, still a classic!